Sound is Creation. In the Beginning was the word, and the word was sound. And the Sound is Song! The universe around us is a cosmic symphony of vibrating Sound and Light! It is then no surprise that music and singing have power to heal and manifest that which we desire to bring forth into physical reality. Sound opens up portals of discovery to higher realms of consciousness, expansions of time and space, activations of all chakras and energy centers in the body, and a connection to Source through the inner resonance. 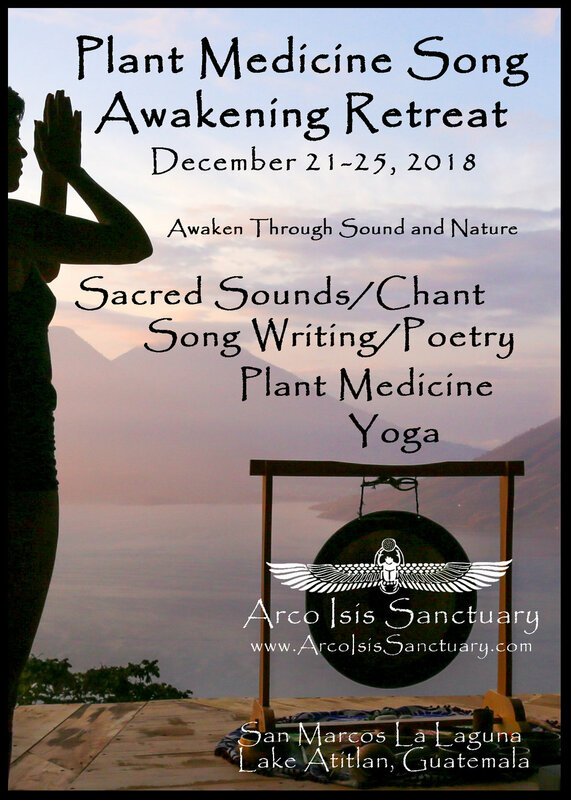 Join us for a week of diving into the power of Sound and activation of our own Soul's Song, reclaiming our voices and our power simultaneously, opening our hearts and connecting back to Source Consciousness. We will tune ourselves in to different ways to liberate our voices and use sound as a form of art to express our prayers, emotions, dreams and wisdom in order to create harmony in our lives, empowerment in our communication and expression, and Radiant Joy within our being. We will overcome blockages to vocal expression, draw inspiration from the natural world and plant medicine, and learn how to create our own medicine songs, play new instruments, connect deeper with our familiar instruments, and practice authentic communication and intimacy. Matthew is founder of Arco Isis Sanctuary, RYT 500, classically trained multi-instrumentalist, sound healer, music teacher, and singer/songwriter/poet. He began music at an early age and rediscovered it later after having experiences at Transformational Festivals. Currently Matthew is involved with two musical projects, as keyboardist for Raga Funk Spaceship, and guitarist/vocalist for The New Atlantis Allstars. 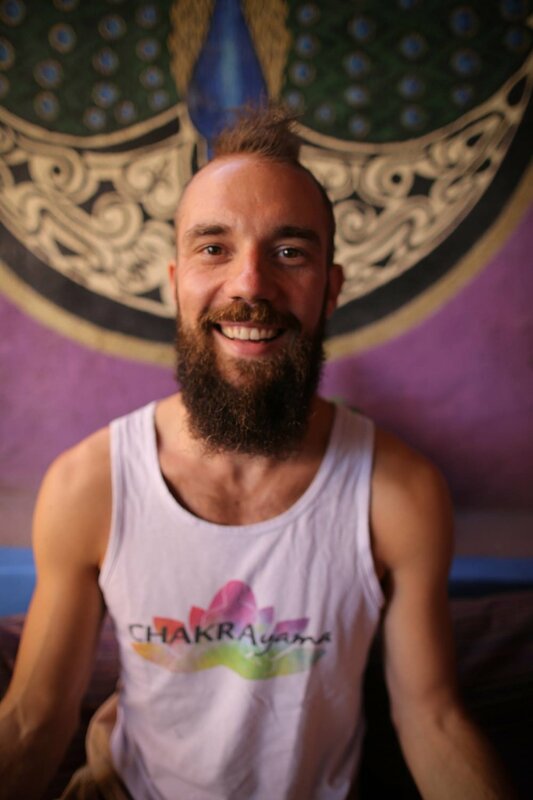 Matthew has been chanting and practicing kirtan since 2011, and has been a part of multiple sound healing projects as well. He has also been working with visionary plant medicines and shamanic ceremonies for about 15 years. Matthew began bridging the gap between poetry and songwriting in 2016 when he began to write music, after some profound experiences with plant medicine. He believes that medicine and nature are keys to inspiration that can help us unlock the doors to our own creative expression and potential. Nicholas is a Singer Songwriter, Sound Healer, Reiki Master, Yoga Teacher, and Life Coach. He closed his Yoga Studio in 2016 and headed out on a world mission to spread love and music. Nicholas plays guitar in Raga Funk Spaceship and also guitar/vocals in The New Atlantis Allstars. He is an excellent space holder, facilitator and guide. Plant Medicine has played a major role in Nicholas' growth and development as a healer, singer, and teacher. He enjoys singing about love, channeling love through his hands and heart, and is also founder of the Chakrayama breathwork technique.